COMMENT | Should Penang Chief Minister Lim Guan Eng debate Minister in the Prime Minister's Department Wee Ka Siong or any other Chinese political operative from BN? Why yes, he should. I do not know about anyone else but the back and forth on the Penang undersea tunnel has not done any favours for either side - if one is looking at it rationally, that is - and if anything, MCA-DAP debates usually dissolve into slagging matches between the two parties as to who has the Chinese community's interest at heart, which is always fun to watch. That’s it, isn’t it? Political racial theatre that keeps us entertained while real policies that the progressives claim to want, disappear beneath a cloud of smoke of the spectacle of Chinese leadership slugging it out. The MCA knows what it is and this does not mean running dogs for the establishment (it’s more complicated than that), while the DAP has to keep a schizoid perspective depending on what type of kool-aid they are dispensing. Non-Malay political parties have this delusion that they are independent operators. They are not. They are in reality proxies for Malay power structures, with varying degrees of public and private influence within Malay hegemons. To believe otherwise, would be delusional. 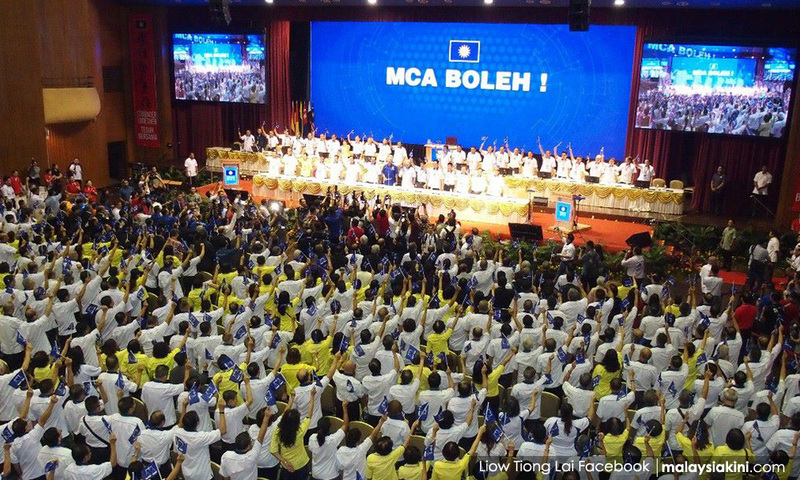 While it is easy to paint the MCA as running dogs of Umno, the same could be said of the DAP, who have had to bend over backwards to accommodate the return of Dr Mahathir Mohamad into the opposition ranks. Official narratives of the state through their racial and religious bureaus paint the community as avaricious, opportunists waiting to usurp Malay power and distort Malay culture. Religious preachers talk of how “rude” the Chinese community is and point to internecine conflicts which either reinforces the stereotype that the community cannibalises itself for Malay power or points to the uncouth and insolent behaviour of the community when it comes to politics. The opposition and the MCA are merely furthering anti-Chinese narratives in their quest to sustain ownership of the votes of their community. Anti-Chinese narratives include the DAP colluding with Malay oppositional personalities that claim China is attempting to subvert Malay power. Anti-Chinese narratives are fostered by the so-called war with the MCA. This is what is problematic in the war between the MCA and DAP. This idea that minorities have to tear each other apart in service of Malay power structures. If the fight between the MCA and DAP was solely based on policy or whatever corruption scandal du jour, it would not be a bad thing. Competition in the marketplace of ideas and propaganda is good thing. However, both always brings it back to whose voice is more important because they have the vote of the Chinese community. I like DAP supremo Lim Kit Siang but suggesting that Mahathir lead the royal commission of inquiry (RCI) on the 1MDB fiasco with a coterie of Pakatan Harapan operatives (making half of the commissioners) is the dumbest thing I have heard so far in this election cycle. Why would anyone say such a thing? Honestly, it is a statement that the DAP would claim that is something only the MCA would make. When it comes to racial politics, minorities squabbling for the political interests of majoritarian stakeholders is painful to watch. Malays from either side of the political divide at least sometimes can meet halfway on those politically-designed issues of race and religion. Throw in culture and you have Malay power structures at war, but not tearing each other’s eyes out like how the non-Malay component parties do in the service of gaining political power for their Malay overlords. While the PAS-Amanah dialectic is interesting to watch because it seems more personal than political, if you get my drift, the petty name calling between the MCA and DAP, and the pack mentality of online denizens is indicative of how compromised the community is under the “malaise” system. I was talking to this group of old-timers from the rural heartlands - why? - because they saw a picture of me talking to social activist Hishammudin Rais on a young one's handphone, and wanted to know if the DAP would take over the country? I assured them that the DAP would not take over the country but I was not so sure that the Indonesians, Pakistanis, Bangladeshis, Myanmars, Rohingya and the myriad of other “Muslim” races would not take over the country. 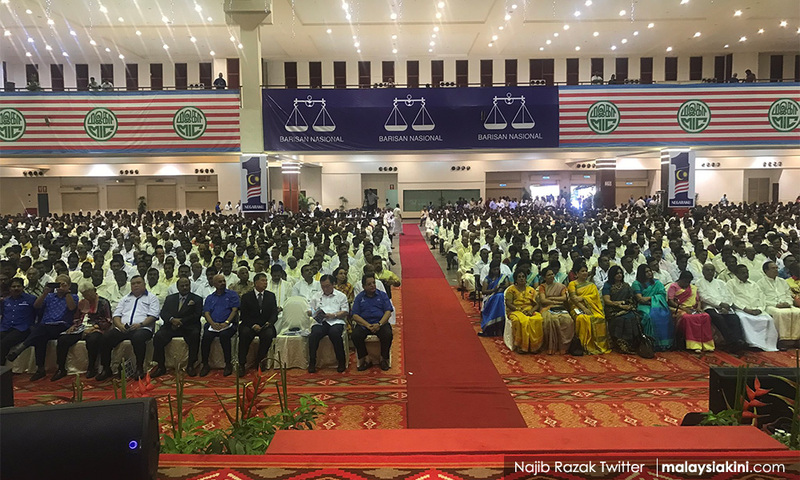 One woman spoke of how vicious the fight was between the MCA and DAP and how she feared that Malay politics was getting that way. When I reminded her that “Malay” politics was all about the knife in the back, strategy and imprisoning political opponents, she was not amused. She said that rich Chinese people fight amongst themselves and influence ordinary Chinese to go against the government and Gerakan - I think she meant MCA - and the Indians are gangsters who support MIC. But I reminded her that rich Malay potentates funnelled money meant for the poor Malays for themselves and their cronies, which is much worse than fighting amongst the community for political power. Some people not only confuse Chinese political parties, they also confuse Chinese Malaysian politicians, Chinese Malaysian citizens and foreigners from the People’s Republic. It is not so funny when the average heartland decides that the Chinese are a threat and nothing that the government or the opposition has done dissuades them from this. This works out well for Malay power structures but for non-Malays - Chinese - power structures, not so much. Opposition supporters, especially Chinese supporters, gleefully think that the demise of the MCA is a good thing. The Chinese polity, unlike the Indian, do not really have an axe to grind with MCA like the way how the Indian community has with MIC. If you look at it objectively, MCA for the most part has been a benefit to the Chinese community. 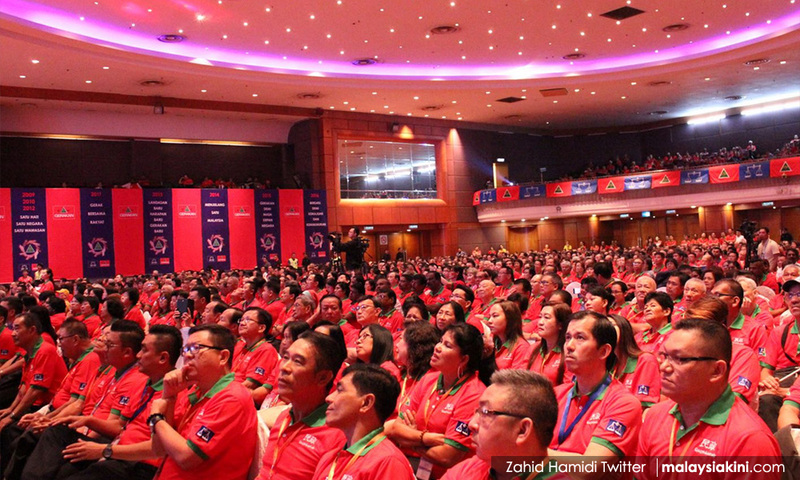 Letting Umno run wild is not in the purview of the MCA. 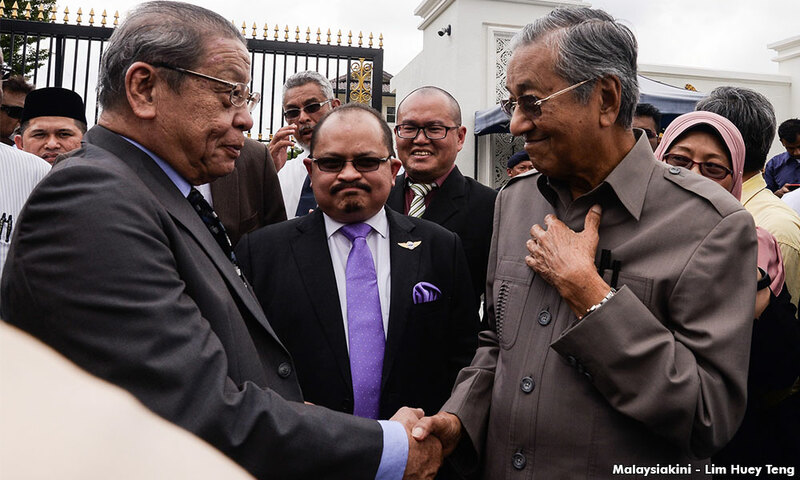 It is the purview of the powerbrokers within Umno. So, carry on this way. Tear each other’s eyes out in the most vicious manner you think reflects the politics you want Malaysia to have and when the dust settles, even if the MCA is vanquished and Umno benched, it is only the ‘ketuanan’ types who will be smirking with joy and the average Joe Malay looking on confused but relieved that the status quo is back. Again.